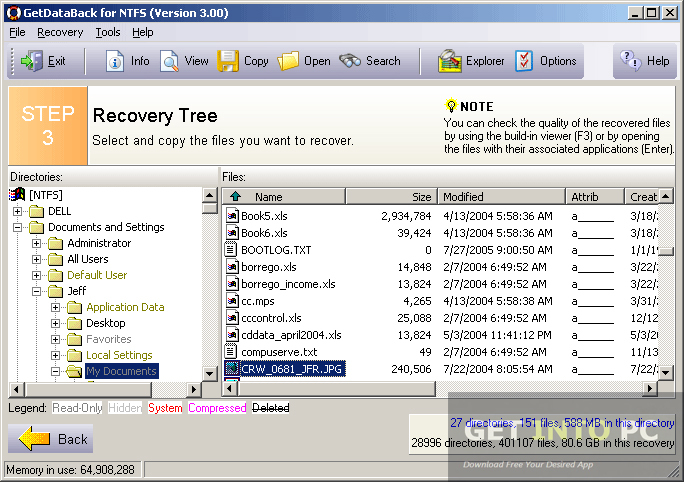 Runtime GetDataBack for FAT and NTFS Free Download Latest Version for Windows. Its full offline standalone setup of Runtime GetDataBack for FAT/NTFS. It certainly leaves a bad taste in your mouth when you lost your important data in any way either you delete it accidentally or by crashing of your drive. 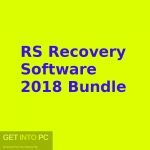 The first and foremost thing is that you should take the measures in order to prevent your data from losing but if such catastrophe happens then there are many recovery software products out there which can help you in data recovery. GetDataBack is one such product from Runtime software which will allow you to recover the data quickly for your FAT and NTFS systems. You can also Learn How To Recover Permanently Deleted Data. The developers behind this tool has used there decades long recovery experience and come up with the tool called GetDataBack. The experience has been combined with new technologies and the result is a lightening fast recovery tool. The tool has been gone through a major overhauling and has been completely redesigned in order to meet the new requirements. The simple interface of GetDataback will help you to recover lost data with just a single click. It is such an easy tool to use that anyone can recover data right from the word go. No manual needed to get use to it. 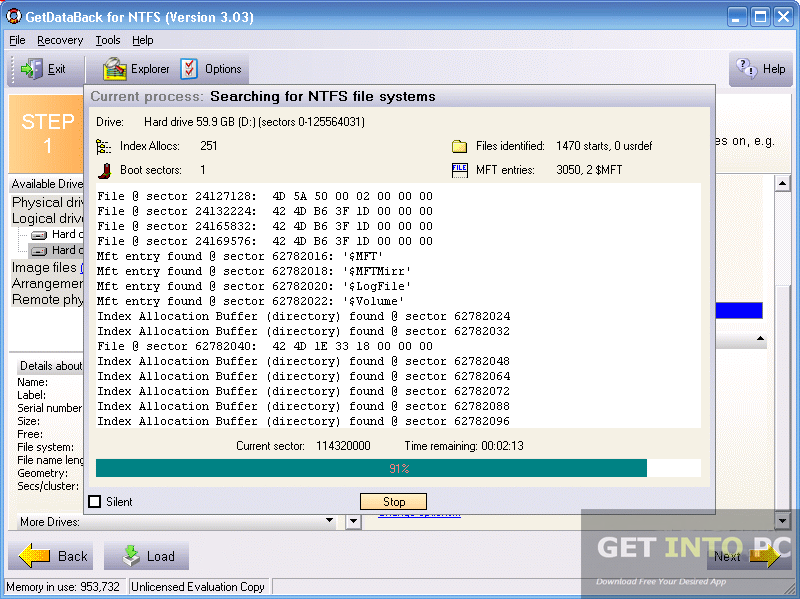 Data from FAT and NTFS can be recovered easily. Either you have accidentally deleted your files or the system’s drive has been crashed due to power failure the tool is there to get you out of such scenarios. The tool can even recover data from the drives that are not recognized by your Windows. Data loss due to attack of viruses can also be recovered. Along with lost files you can also recover the whole directory structures. The advanced algorithms in this tool will make sure that all the files as well as directories are at there right place where they were once. The tool is read only which means you can’t fix or edit the data that has been recovered. 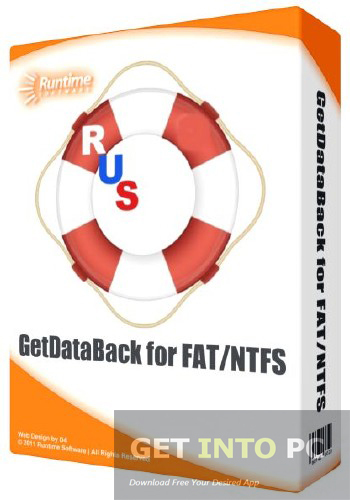 All in all Runtime GetDataBack for FAT and NTFS is a very comprehensive recovery tool which will help you in restoring the data efficiently and effectively. Below are some noticeable features which you’ll experience after Runtime GetDataBack for FAT and NTFS free download. Can recover all types of data. Data recovery with just a single click. Can recover whole directory structure. Before you start Runtime GetDataBack for FAT and NTFS free download, make sure your PC meets minimum system requirements. Click on below button to start Runtime GetDataBack for FAT and NTFS Free Download. This is complete offline installer and standalone setup for Runtime GetDataBack for FAT and NTFS. This would be compatible with both 32 bit and 64 bit windows.